Freeform has announced that season 2B of its Shadowhunters TV series and the Stitchers TV show’s season three premiere will air on Monday, June 5, 2017 at 8:00 and 9:00pm ET/PT, respectively. Shadowhunters stars Katherine McNamara, Dominic Sherwood, Alberto Rosende, Emeraude Toubia, Matthew Daddario, Isaiah Mustafa, and Harry Shum Jr. Stitchers stars Emma Ishta, Kyle Harris, Ritesh Rajan, Salli Richardson-Whitfield, Allison Scagliotti and Damon Dayoub. The Fosters TV show’s fifth season premiere and the series premiere of The Bold Type kick off on Tuesday, July 11, 2017, also at 8:00 and 9:00pm ET/PT. The Fosters stars Teri Polo, Sherri Saum, Hayden Byerly, Noah Centineo, David Lambert, Maia Mitchell and Cierra Ramirez. The Bold Type stars Katie Stevens, Aisha Dee, Meghann Fahy, Sam Page, Matt Ward, and Melora Hardin. The new Freeform TV series was formerly known as Issues. “Shadowhunters” returns for the second half of season two with Shadowhunters and Downworlders reeling from what happened at the New York Institute in the winter finale. As the rift between the two sides grows larger, the team and their Downworld friends and lovers are put in the middle of the dangerous divide. Torn between the Clave’s rules and what they feel is right, Clary, Jace, Alec and Isabelle struggle to help forge a new beginning. Relationships will be tested, a new Shadowhunter named Sebastian will join the fray and the Seelie Queen will step out of the shadows in the summer season. “Shadowhunters” is produced by Constantin Film and executive produced by Todd Slavkin, Darren Swimmer, McG, Michael Reisz, Matt Hastings, Mary Viola, Martin Moszkowicz and Robert Kulzer. The series stars Katherine McNamara, Dominic Sherwood, Alberto Rosende, Emeraude Toubia, Matthew Daddario, Isaiah Mustafa and Harry Shum Jr. “Shadowhunters” midseason premiere will be MONDAY, JUNE 5, at 8:00 p.m. EDT. On the upcoming season of fan favorite “Stitchers,” Kirsten and the Stitchers team hack into the minds of the recently deceased to investigate diverse and unusual cases spanning from international relations to within their own families. New relationships will develop while others will end, and the true purpose of the Stitchers program will be revealed. “Stitchers” is executive produced by Jeffrey Alan Schechter, Jonathan Baruch and Rob Wolken. The series stars Emma Ishta, Kyle Harris, Ritesh Rajan, Salli Richardson-Whitfield, Allison Scagliotti and Damon Dayoub. “Stitchers” will return for its third season on MONDAY, JUNE 5, at 9:00 p.m. EDT. Currently airing on Tuesdays at 8:00 p.m., “The Fosters” returns for its fifth season. Winner of a Television Academy Honors Award and GLAAD Media Award for Outstanding Drama Series, “The Fosters” follows a multi-ethnic family mix of adopted and biological teenaged kids being raised by two moms. The drama’s fifth season will include the milestone 100th episode. “The Fosters” is executive produced by Jennifer Lopez and created by Bradley Bredeweg and Peter Paige, who also serve as executive producers and writers, along with Joanna Johnson. Greg Gugliotta, Elaine Goldsmith Thomas and Benny Medina also serve as executive producers. The series stars Teri Polo, Sherri Saum, Hayden Byerly, Noah Centineo, David Lambert, Maia Mitchell and Cierra Ramirez. The series is produced by Nuyorican Productions, Inc. in association with Freeform. The fifth season premiere of “The Fosters” will be on TUESDAY, JULY 11, at 8:00 p.m. EDT. “The Bold Type,” inspired by the life of Joanna Coles, chief content officer of Hearst Magazines, reveals a glimpse into the outrageous lives and loves of those responsible for the global women’s magazine Scarlet. The rising generation of Scarlet women leans on one another as they find their own voices in a sea of intimidating leaders. Together they explore sexuality, identity, love and fashion. The series stars Katie Stevens, Aisha Dee, Meghann Fahy, Sam Page, Matt Ward and Melora Hardin as Jacqueline, editor in chief of Scarlet Magazine. “The Bold Type” is executive produced by Sarah Watson, David Bernad, Joanna Coles and Ruben Fleischer. Holly Whidden is co-executive producer. The series is a Universal Television and The District production. “The Bold Type” will have a special two-hour premiere on TUESDAY, JULY 11, at 9:00 p.m. EDT. What do you think? Will you tune in for the new seasons of The Fosters, Shadowhunters, and Stitchers TV shows? Do you plan to watch Freeform’s new TV series, The Bold Type? Let us know, below. 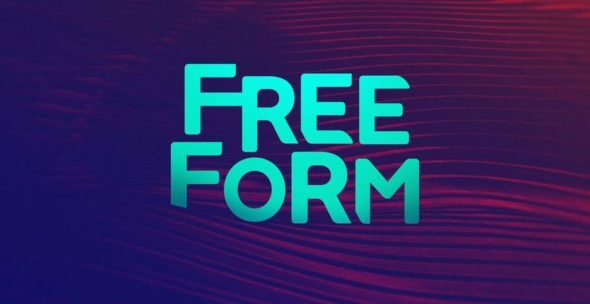 More about: Freeform TV shows: canceled or renewed?, Shadowhunters, Shadowhunters: canceled or renewed?, Stitchers, Stitchers: canceled or renewed?, The Bold Type, The Bold Type: canceled or renewed?, The Fosters, The Fosters: canceled or renewed? One show missing is last summer’s Monica the Medium.